Spin Palace is one of Microgaming’s most popular online casinos, offering players a wide range of online slots and several other games. 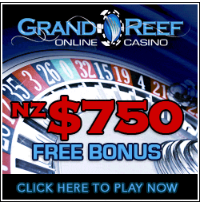 The casino as become well-known for offering up some of the most generous progressive jackpot prizes, in addition to lucrative bonus schemes and exciting tournaments. There is also a great mobile offering available to players who want to game on the go. At Spin Palace online casino, there is a generous welcome bonus available, offering players up to $1000 free when they first sign up. It is a 3 part bonus, offering players 100%, 25% and 50% match bonuses. By offering three parts to the bonus, players can claim the full amount more easily, rather than having to spend $1000 in one go to claim one large 100% match bonus. When it comes to the range of promotions available at Spin Palace, there aren’t very many, however. Aside from the generous welcome bonus, there are few others. On occasion, the casino launches tournaments and competitions, but there are relatively few opportunities to earn bonus cash. So, players should take advantage of the comp points scheme, which awards players points that they can cash in each time they play certain games. Since the points have cash value, players are part of a constant cash-back scheme. The more money players wager over the course of their time at Spin Palace, they earn new bonus levels which offer more comp points each time they play. As you would expect from an online casino name ‘Spin Palace’, there is a wide range of online slots available. Being powered by Microgaming, Spin Palace offers up some of the most popular slot machines in the online casino world, including Tomb Raider, Thunderstruck and Lord of the Rings. There are over 100 online slots games to choose from at Spin Palace online casino, so casual gamers are spoilt for choice. If you’re looking for something a little different, however, Spin Palace also offers a great selection of card games and table games. 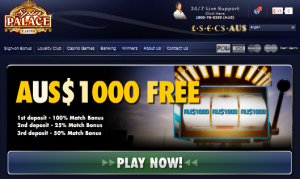 While you may not find as many non-slots titles as you would at other online casinos, there is still plenty of choice. You’ll find several variations of video poker, blackjack and roulette, giving you a lot of choice when it comes to more strategic casino games. At Spin Palace, you’ll also find a large collection of progressive slots games. Since Microgaming offers one of the largest progressive jackpot networks in the online gambling world, players are eligible for some amazing cash prizes when they play at Spin Palace. Games like Cash Splash, Fruit Fiesta and King Cashalot offer progressive jackpots worth millions of dollars and Spin Palace players are eligible for these prizes. Live support is available 24 hours a day and 7 days a week, so players can get answers to all of the questions about Spin Palace online casino. Players can also troubleshoot issues using an in-depth FAQ or email questions if their needs are less urgent. Spin Palace is known for its friendly and helpful customer support, as professionals employed by the operator know exactly what players need. A wide range of banking options is available at Spin Palace online casino, providing New Zealand gamblers with many different ways to fund their accounts and make withdrawals. Credit cards, debit cards, e-wallets and bank transfers are all available. All banking transactions are protected by sophisticated encryption systems, so players’ banking information and personal details are kept safe and secure. It is no wonder that Spin Palace online casino has earned such a stellar reputation over the years. While the casino does leave something to the imagination when it comes to bonuses, Spin Palace more than makes up for it with its wide range of engaging online casino games and incredible customer service. If you love slots, you’ll find endless excitement at Spin Palace online casino, where hundreds of fantastic titles are available for your gaming pleasure.